More than half of manufacturers taking part in the Nuclear AMRC’s Fit For Nuclear programme are confident of winning new nuclear work this year, a new survey has found. 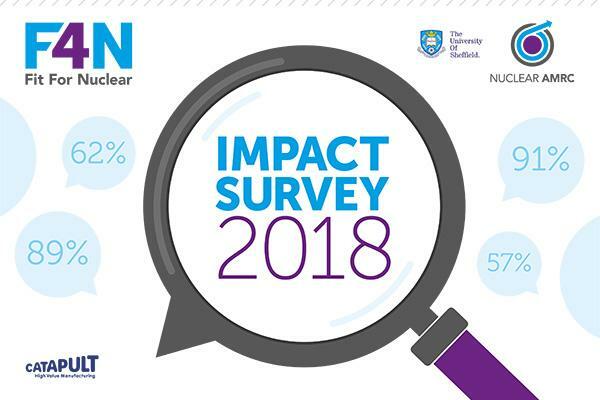 The latest survey of companies which are currently progressing through Fit For Nuclear (F4N), or are already granted, shows that most are confident of winning new business and have seen real benefits from the programme. In all, 89 per cent of participating companies would recommend F4N to other manufacturers. F4N is a unique service which lets manufacturers measure their operations against the standards required to supply the nuclear industry – in new build, operations and decommissioning – and helps them take the necessary steps to close any gaps. F4N is delivered exclusively by the Nuclear AMRC, and supported by top-tier partners in nuclear new build and decommissioning. More than 680 UK manufacturers have now taken the initial F4N online assessment, with most receiving ongoing support from the Nuclear AMRC’s industrial advisors and nuclear specialists. Completing the programme requires commitment and drive from senior managers, and typically takes 12–18 months. Almost all of the 116 companies who responded to the survey are small and medium-sized enterprises (SMEs), with more than half still working towards being granted F4N. Around a third of respondents said it was too soon to report demonstrable benefits. Of the others, more than 60 per cent reported improvements in HSEQ measures, and more than half reported increased confidence and greater awareness of the nuclear market. Despite divided views on the general economic climate for manufacturing, more than 90 per cent expect their turnover to grow in the next year, with 57 per cent confident of winning new work in nuclear. Many have already secured new nuclear orders, and others say that the F4N process has helped them win work in other sectors. However, new entrants to the nuclear supply chain say they face significant obstacles to winning work – 64 per cent of respondents said that connecting with potential buyers was one of the biggest challenges, and 54 per cent said they lacked awareness of opportunities. The survey results will be used in the continuing development of the F4N service to provide additional value to manufacturers. The programme was expanded in late 2017, with additional post-granting support to help companies maintain their journey of business excellence. The new F4N Connect online searchable directory of granted companies was launched in December, with five companies saying they have already received enquiries from it. 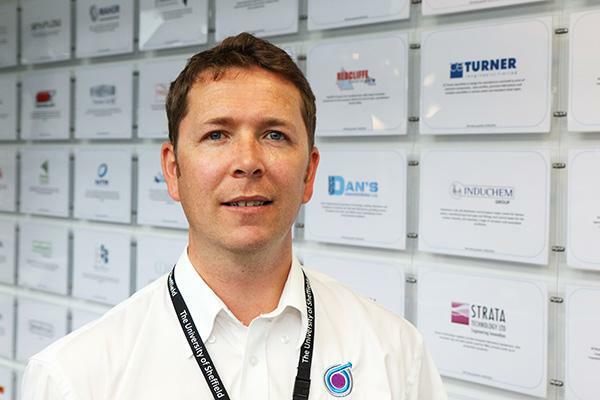 “While we are pleased with the progress that has been made, we recognise the ongoing challenges that our F4N community face, and we welcome all constructive feedback,” says Ian Williams, the Nuclear AMRC’s recently appointed head of supply chain development. Download the 2018 F4N impact survey report. “F4N has made us take a good look at ourselves. It has helped us improve our business, health, safety and environment. It has also helped us to build a continuous sustainable improvement plan that is realistic.” – Tanya Brennan, Polycast. “We are such a better business as a result of the investment.” – John French, IT4Automation. “Overall this has been a fantastic scheme which has certainly helped to develop and improve the business. I am hopeful that more recent developments, such as the F4N Connect portal, will improve our chances of winning work in the nuclear sector.” – Roger Kimber, Strata Technology. “All aspects are very useful and are helping to improve our business.” – Peter Bruch, AE Aerospace. “The F4N programme has improved our company in many areas. This has provided benefits with the potential increase in business within the nuclear sector, and given confidence to clients in other areas.” – Paul Bunn, S+H Systems. “We would recommend F4N to manufacturers wanting to go beyond the standard. The company reorganisation has improved the efficiency of the company for all customers, and was well worth completing even if nuclear work is not the end aim.” – Brian Kermode, WKW Precision Engineering. Start your F4N journey today.